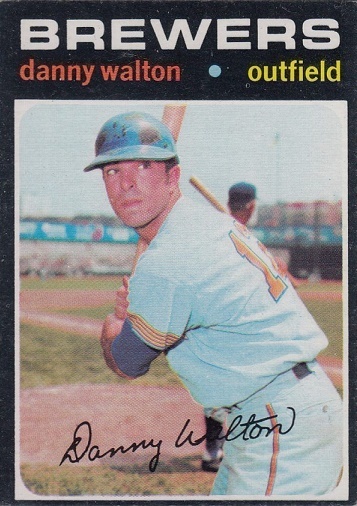 Happy Birthday to Danny Walton, who was my teammate on the New York Yankees from 1971 to 1972. 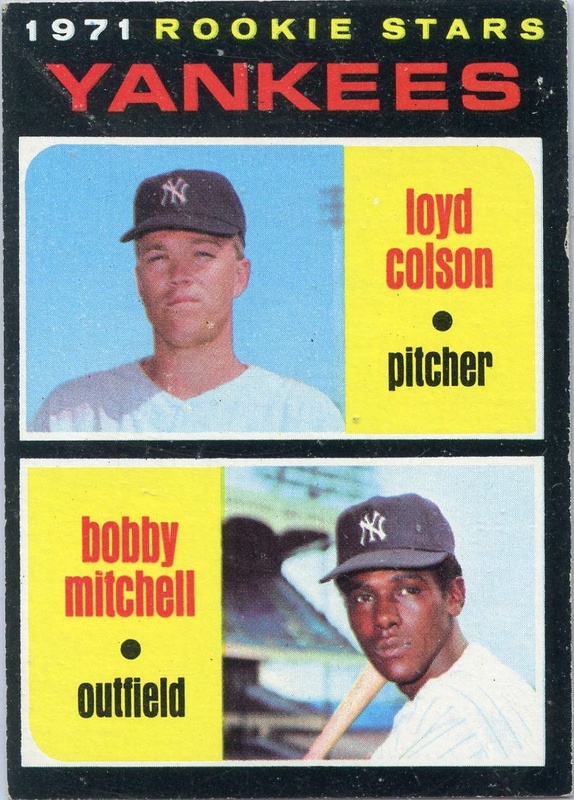 About two months into the 1971 season, the Yankees traded Frank Tepedino and Bobby Mitchell, once considered among the Yankees most promising prospects, to the Milwaukee Brewers. The Yankees viewed Danny as a potential power-hitting outfielder – he had 17 Home Runs the previous season — although they knew he struck out a lot. They wanted him as a right-handed pinch hitter. He hit just one Home Run for the Yankees (a solo shot off Dave McNally in a game the Orioles won 10-4. 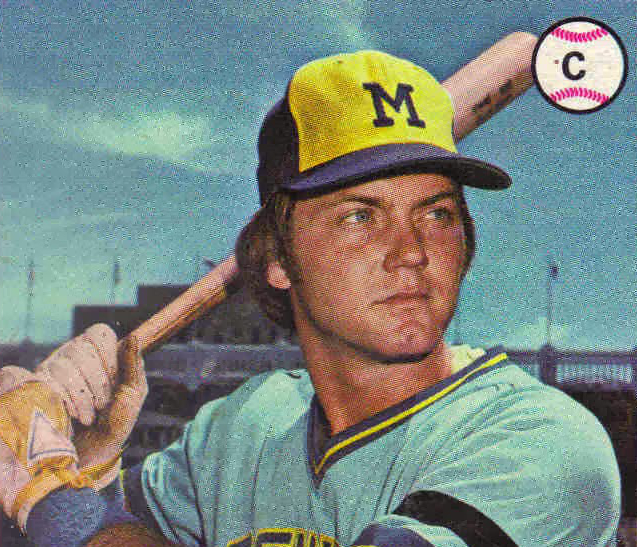 He also had knee problems that affected his career and played only five games for us before he was optioned to Syracuse to make room on the roster for a young up-and-comer named Ron Blomberg. 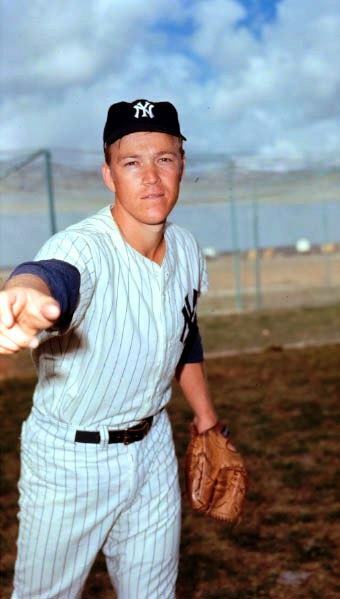 He spent 1972 in AAA and the Yankees traded him to Baltimore for Rick Dempsey before he ever returned to pinstripes. I say this respectfully, but as a pitcher I never really feared Danny Walton. The first time I saw him was on May 2, 1970 at Yankee Stadium and I struck him out twice in his first two at-bats. Then I walked him. A week later, we made our first trip to County Stadium in Milwaukee, where the Seattle Pilots had relocated after one year. The next time I pitched to Danny, I stuck him out three times in three at-bats. He didn’t get a hit off me until July. In all, I struck Danny out eleven times in twenty at-bats, and he had a lifetime .200 batting average against me, with no extra base hits and no RBI’s. But Danny got the best of me at the end: two of his four career hits off me came in the final two at-bats against me, when he was with the Minnesota Twins. Danny missed a lot of time because of his bad knees, but he still put together a career that lasted (on and off) from 1968 to 1980, and I admire that. Happy Birthday to Charlie Moore, who played for the Milwaukee Brewers during my last four years in the major leagues. He was statistically the single toughest hitter I faced in eleven seasons as a pitcher. And the funny thing is the first time I saw him, as a 20-year-old late season call-up, I thought he would be easy. I was wrong. It was September 25, 1973. We were away, I was at the end of a not so great 8-15 season, and the Yankees were three games under .500 and 17.5 game out of first — again, the whole “Horace Clarke Era” thing! Charlie made the third out in a 1-2-3 second inning with a fly ball to Otto Velez in right. In the fourth, I gave up successive singles to Dave May and George Scott. Then Don Money hit a shot to center; May scored and Scott went to third. Thurman Munson made a rare error and Money advanced to second. After Bobby Mitchell flied out to right – Scott wasn’t scoring on Velez’s arm – Ralph Houk gave me the signal to intentionally walk Charlie. Wilbur Howard hit a grounder to Fred Stanley at short, forcing Charlie out at second, but we didn’t get the DP; Scott scored, putting us behind 2-0 Brewers. I saw Charlie for the third time in the seventh when he tried to bunt on Thurman – bad idea. We scored one in the eighth and one in the ninth to tie it, and Lindy McDaniel came in to relieve me in the bottom of the ninth. The Brewers won it in the 13th on Pedro Garcia’s RBI single. Charlie Moore was going to be no problem, right? The next time I saw Charlie Moore was on July 1, 1974. By this time, I had been traded to the Cleveland Indians and was starting the second game of a double header (remember those?) at Cleveland Stadium. He went 3-for-3 against me, two singles and a double. We beat the Brewers 9-3, but I couldn’t get Charlie out. I faced Charlie three times in 1975 and once more in 1976 (before the Rangers trade); he went 6-for-8, with a walk. I never struck him out, and the best I could do was get him to fly out to Rick Manning in center. Charlie went 9-for-13, with a career .692 average while batting against me. I looked it up and of the 525 different players who hit against me (more than twice), Charlie Moore has the highest career batting average of them all. How’s that for a little birthday trivia!